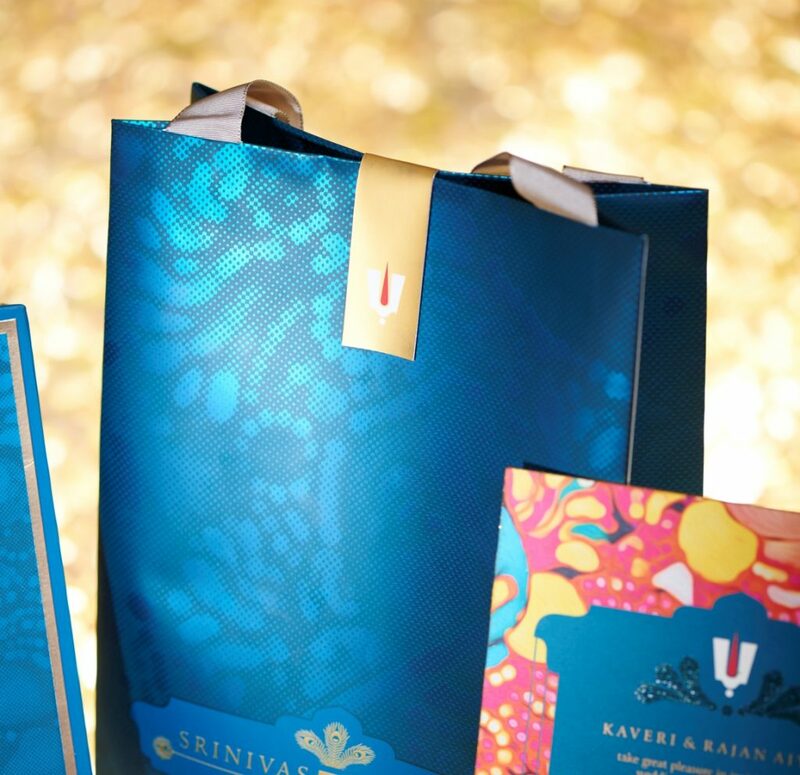 Our clients Srinivas and Gayatri from Hyderabad wanted Sri Krishna to be the focus of their wedding invite. The entire family are devotees and it was important to them that this be symbolically reflected in the design. But of course, they wanted something that was completely different. For us, this was an opportunity to dive into the deep blue ocean to find its treasures as Sri Krishna evokes many beautiful visions and themes. He is divine grace, the infant with miraculous powers, the Lord of Love, the Blue God and the flute player. More so, he is creator of many mirage-like myths from a secret forest of bliss. Sri Krishna embodies the idea of play, mystique and divine revelation in what we call Krishna lila – cosmic play. Depictions of his stories are found in murals and paintings over many centuries. 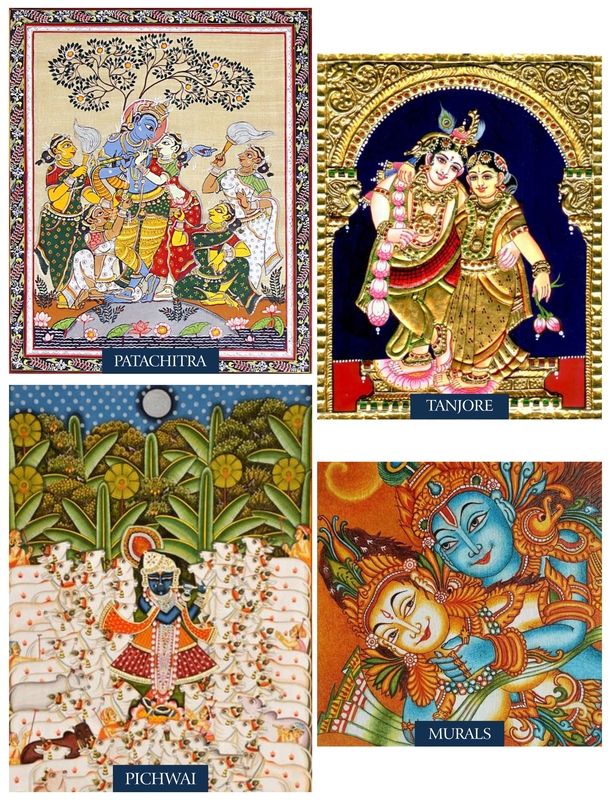 Sri Krishna has been the inspiration of patachitra in Odisha, Tanjore paintings in Tamilnadu and the most exquisite pichwai a 400-year old art form practiced in Nathdwara, Rajasthan. Pichwai scenes evoke worship through scenes of joy, celebration and love. Gold is used in ornate ways in Tanjore painting to embellish vivid colours painted on flat wooden panels. 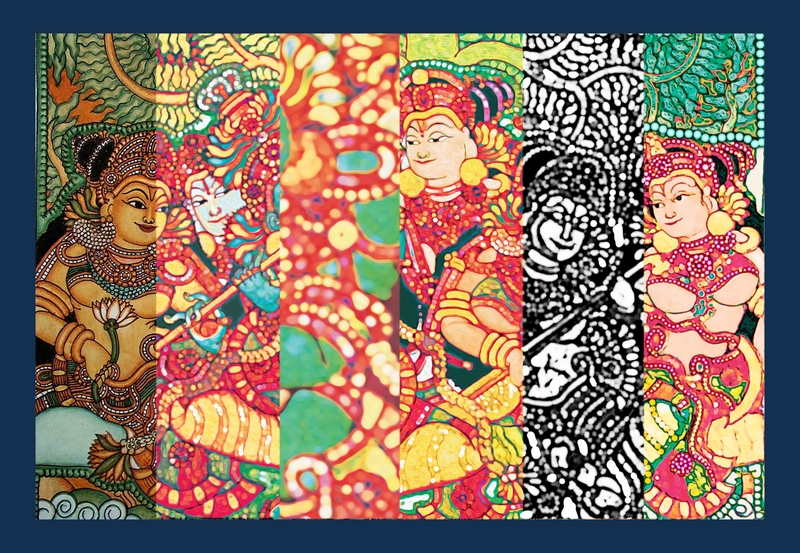 The 1000-year old patachitra art is filled with detail. There was something in each form for us to get inspired. Our renditions combined the gold embellishment, the cloth canvas as background and themes of joy and happiness in a swirl of magical colours. It took us over 29 variations to get the image exactly right. 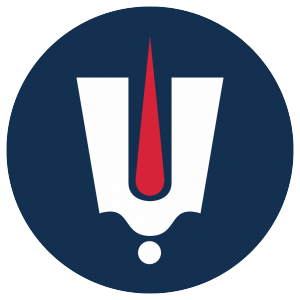 In those days they used indigo to colour Sri Krishna and we chose blue for the main theme. The carry bag and box are a shade darker than peacock blue giving a dramatic reveal to the invite and both have a special effect that hovers between matt and metallic. The tilaka is a protective symbol of Vaishnavas – devotees of Sri Krishna and his incarnations feel a sense of belonging wearing it. We gathered deep insights from the features of the tilaka: the upper part shaped like a tuning fork represents Lord Krishna’s footprint. The leaf shaped part symbolizes the tulasi leaf, which is Krishna’s favourite plant. The two lines of the tilaka are said to contain the abode of Radha and Krishna, which is especially meaningful for the wedding as a sacred union. We brought the tilaka as a principal feature into the carry bag and to bless the invite, as it is traditionally done. Southern temples are a celebration of many hues of pastel blues, pinks, yellows and greens. We brought this colour palette alive in the card, carefully generating the image from a fine pictorial we sourced. Symbols and pictorial went together to create a strong design language that was easily recognizable. Our next challenge was how to bring this to a sophisticated rendition. We actually created innovative digital techniques not found anywhere else in India. The paper selected has a canvas-like finish to evoke the quality of ancient cloth paintings. To render the image in its truest sense we created a texture in the painting and combined it with an effect of glossy lustre reminiscent of oil paintings. We were delighted to hear that many of the guests had framed the invite picture for keeps!